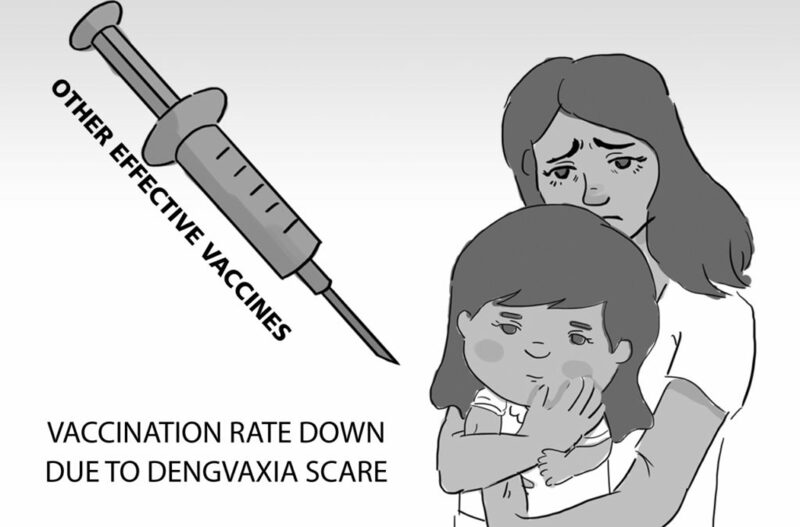 Stakeholders have yet to resolve the dengvaxia controversy, and while the government is working on it, health authorities assuage public fear by promoting other vaccines that have been proven effective to prevent childhood diseases such as tuberculosis and measles. Poliomyelitis, tuberculosis, diphtheria, tetanus, pertussis, measles. These diseases which can cause deaths and severe permanent physical impairment among children are easily preventable by immunization. The Philippines is now polio-free. The deaths from measles have diminished by more than 80% since 1990. Pertussis ( whooping cough) by 61.7%. 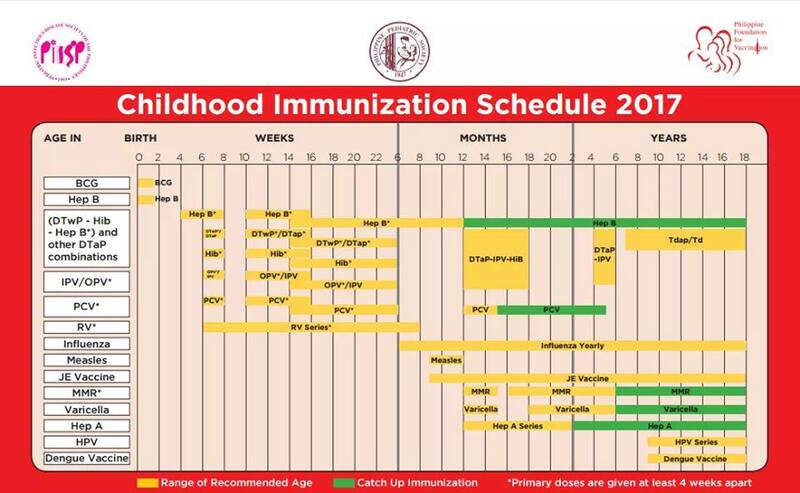 This is largely because of the Expanded Program on Immunization that was established in 1976 to ensure that Filipino children and mothers have access to routinely recommended vaccines. Diphtheria, tetanus and Pertussis (whooping cough vaccines have been around since the late 1950s. The polio vaccine has been in commercial use since 1961. Rubella (German measles) in 1969. Add to that Hemophilus influenzae, hepatitis B, varicella (chicken pox), hepatitis A, pneumococcal vaccines which have been around for decades. These vaccines have been proven to be safe and effective. There is no reason why the public should lose trust in this life-saving, and disability preventing undertaking by the government. Go have your children (and yourselves) immunized. An ounce of prevention is definitely worth a ton of cure. Text and Image credit to Dr. Ethel Pineda’s FB Page. This entry was posted in Advocacy, Health Advisory, Medicine and tagged Childhood Immunization Schedule 2017 Philippines, dengvaxia, immunization program, vaccination program Philippines on February 21, 2018 by Yami.